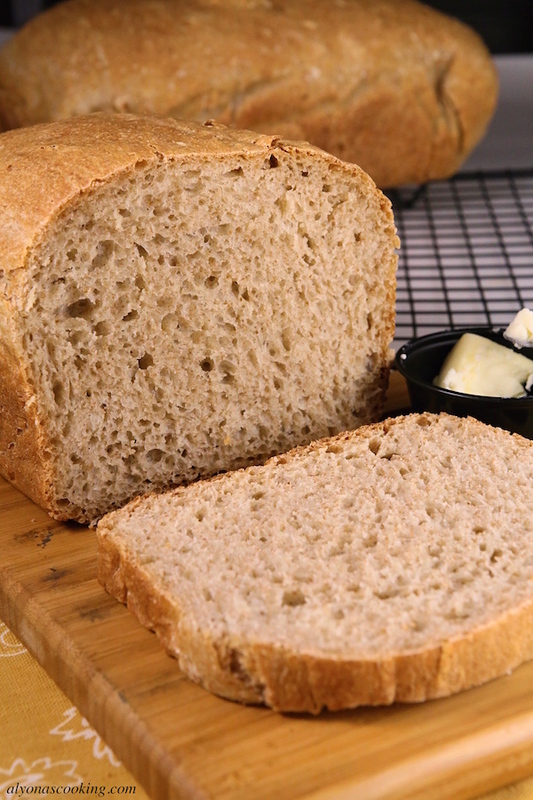 This is by far my favorite go-to Moist Wheat Bread Recipe because it’s so easy to make. It stays more moist compared to other wheat bread recipes that I’ve tried. 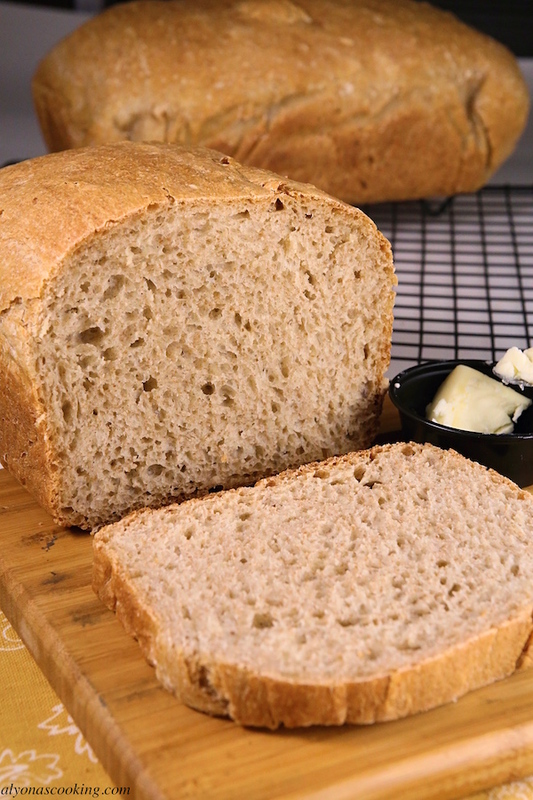 With just a handful of basic ingredients this homemade bread can even be made by hand (it’s that easy.) No long period of kneading necessary although, I do usually give the dough some punches and briefly knead the dough somewhat when I don’t make this in the mixer. Now, I have made this in a stand mixer before but have been doubling the recipe lately to make more loaves, so I have been using a bowl and hands with as good of results. The outcome is quite impressive for such an easy recipe like this. My brother-in-law even asked for the recipe after trying this bread! A big thanks to my friend Marina, who introduced me to this easy bread recipe years back. 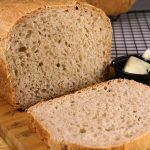 If you haven’t made homemade healthy bread before, this is definitely a recipe to try since it’s so easy to make and almost hard to mess up. 1.) In a large measuring cup combine the yeast and luke warm water. Set aside. 2.) Whisk together the flour and salt in a large bowl. Add in the yeast mixture and stir until dough comes together. Mixture should be tacky and somewhat sticky. Briefly knead or punch dough a few times (optional) and then cover and set aside to rise for 30 minutes. 3.) 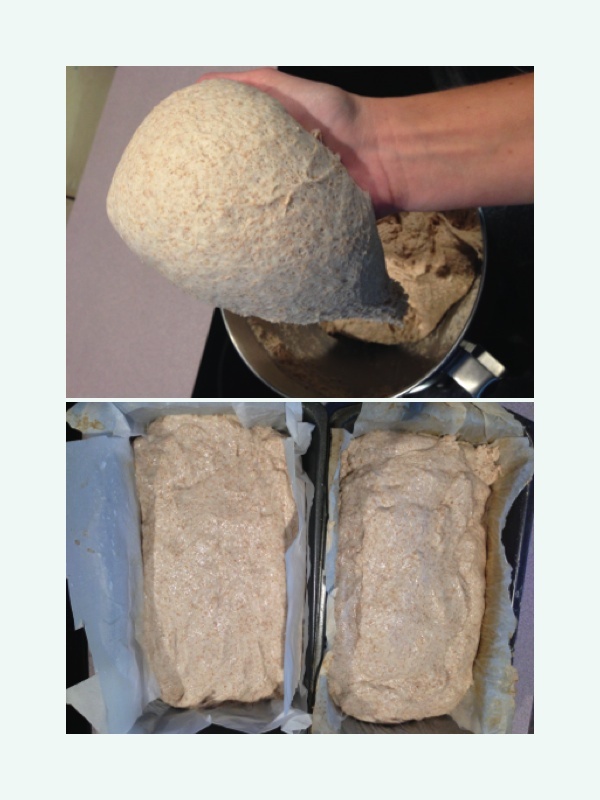 With wet hands divide the dough evenly into two parchment lined loaf pans. Allow loaves to rise until dough rises over the loaf rim (about 1 hour.) Bake at 380 degrees F for 30 minutes. 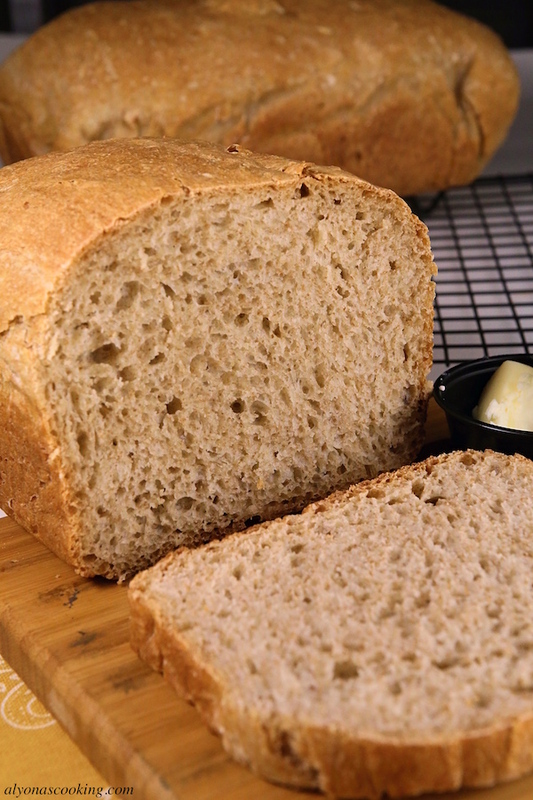 This is by far my favorite go-to Moist Wheat Bread Recipe because it's so easy to make. 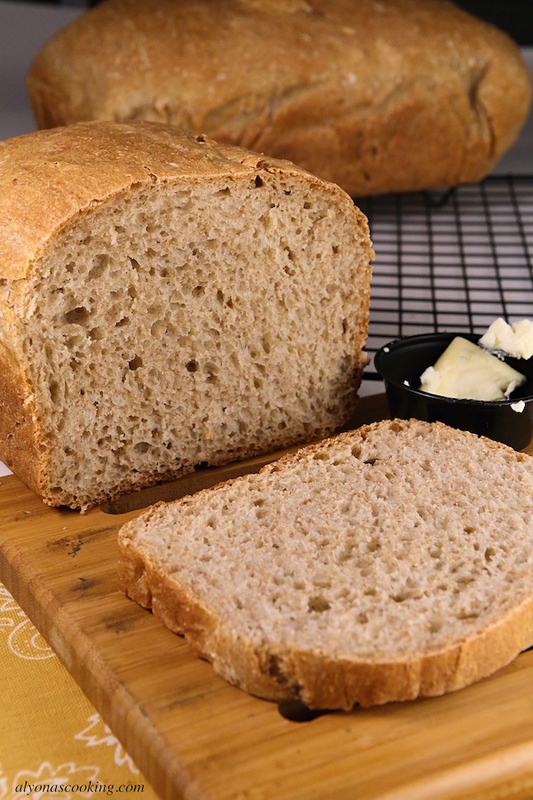 It stays more moist compared to other wheat bread recipes that I've tried. In a large measuring cup combine the yeast and luke warm water. Set aside. Whisk together the flour and salt in a large bowl. Add in the yeast mixture and stir until dough comes together. Mixture should be tacky and somewhat sticky. Briefly knead or punch dough a few times and then cover and set aside to rise for 30 minutes. With wet hands divide the dough evenly into two parchment lined loaf pans. Allow loaves to rise until dough rises over the loaf rim (about 1 hour.) Bake at 380 degrees F for 30 minutes. This is my favorite bread by far! Especially, tastes wonderful with home made butter. Over all my favorite bread! thank you Alyona! Your recipes are great! You are welcome! Thanks for letting me know.